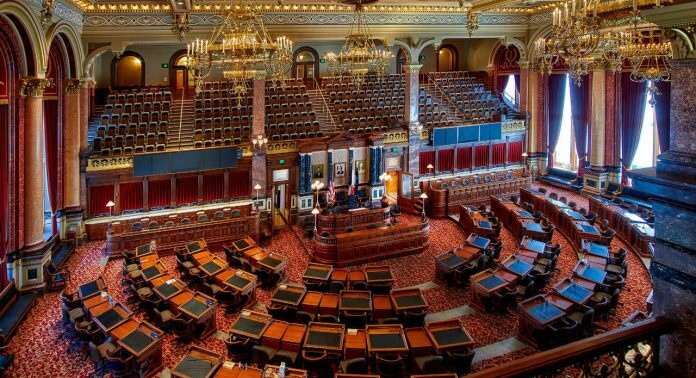 In early May of 2018, the State of Iowa passed landmark legislation, the Heartbeat Bill, that could have national implications and quite possibly could eventually end legal abortion in the United States by overturning Roe V. Wade. Iowa Governor Kim Reynolds signed the “Heartbeat” Bill into law on Wednesday, May 2nd, 2018. Senate File 2281, informally known as ‘The Heartbeat Bill,’ was set to take effect on July 1st, 2018 and make abortions illegal after a heartbeat can be detected. In the majority of cases, a baby has a heartbeat as early as six weeks, meaning that an abortion could not be conducted after that point because legally speaking, the detected heartbeat determined life. A physician certifies that the fetus has an abnormality that, in the physician’s “reasonable medical judgment,” is incompatible with life. Anti-life groups such as the American Civil Liberties Union of Iowa, Planned Parenthood Federation of America and the Emma Goldman Clinic are suing the state on the grounds that the legislation is unconstitutional. Furthermore, they say, most women don’t even know that they are pregnant at that time. The groups filing the lawsuit stated that; “This is a much better outcome for women than having to spend the next few weeks worrying about whether or not they’re going to be able to exercise their fundamental right to have a safe and legal abortion in Iowa,” said Rita Bettis, ACLU of Iowa attorney. The Thomas More Society is representing the State of Iowa, a Conservative Chicago-based law firm after Democratic Iowa Attorney General Tom Miller refused to defend the law. This Bill Could Be the vehicle that ends abortion in America – Tweet this? The Thomas More Society is a not-for-profit, national public interest law firm dedicated to restoring respect in law for life, family, and religious liberty. The Thomas More Society defends and fosters support for these causes by providing high-quality pro bono legal services from local trial courts all the way to the United States Supreme Court. Judge Michael Huppert issued a formal temporary injunction on Friday, June 1st, 2018 pending the resolution of the lawsuit. Both parties to the lawsuit are hoping to get this case into the Iowa Supreme Court; However, pro-life groups are aiming to get this case to the United States Supreme Court because it could potentially challenge Roe V. Wade and possibly end abortions in the United States.